HVAC and AC systems are irreplaceable in any season of the year, especially in the summer. It is quite hard to get through the hottest days without HVAC and Air Conditioner. Most people do not prefer using an HVAC or AC in winter. Usually, the demand for air conditioner and HVAC is increasing during hot days of summer. If you experience problems related to HVAC or air conditioner, AFR Dynamics HVAC Repair Service in Arizona can be a solution. For homeowners of Arizona, it is better to know this fact that sometimes, it becomes hard to predict the level of temperature. Of course, without air conditioner and HVAC, we could not image comfort and tranquility in our residences. We run the air conditioner and HVAC almost every day, and without constant care, it could fail. As a good HVAC system, a good HVAC Repair Service is also an essential part of your comfort in Arizona. Here we can help you to choose the right HVAC Repair Service in Arizona. How can I determine the problem of the HVAC? If you use HVAC frequently and the performance of your air conditioner becomes slower, it means that your HVAC warn you about its problems. These warning signs make us bored but let’s consider the positive sides of these issues. For example, the warning signs help us avoid extra expenditure and prevent additional problems. So, our HVAC Repair Service in Arizona provides you with important news. If you wonder what is the issue of your HVAC and it does not run as usual, then let’s look into these possibilities. What are the essential problems that make HVAC fail? There might be various problems based on HVAC. We will share the four major signs that we call warning signs. Make sure that your HVAC does not sound unusual when internal parts of HVAC wear out. Your HVAC or air conditioner gives you a signal about the issue. Then you should immediately consult with a professional technician. He could prevent the problem, and you can avoid additional expenditure. Sometimes, we face problems related to AC blowing. If there is any problem with HVAC, then it could blow warm air instead of cold. The problem could be different based on an air conditioner and HVAC, but it shows that it is one of the signs of issues. It is not a big deal for our experts, as they frequently face such kind of problems. So they easily diagnose the problem and give you a hand to solve this issue. Another common problem related to HVAC and an air conditioner leads to a blown circuit. Maybe you also faced this kind of problem when you try to run an air conditioner. This problem creates a burden on the electrical system and as a result, it causes a tripped circuit. Our professional team is an expert in both HVAC and electrical systems. So, there is no need to lose time looking for a professional technician. AFR Dynamics HVAC Repair Service is always near you in Arizona for your comfort. 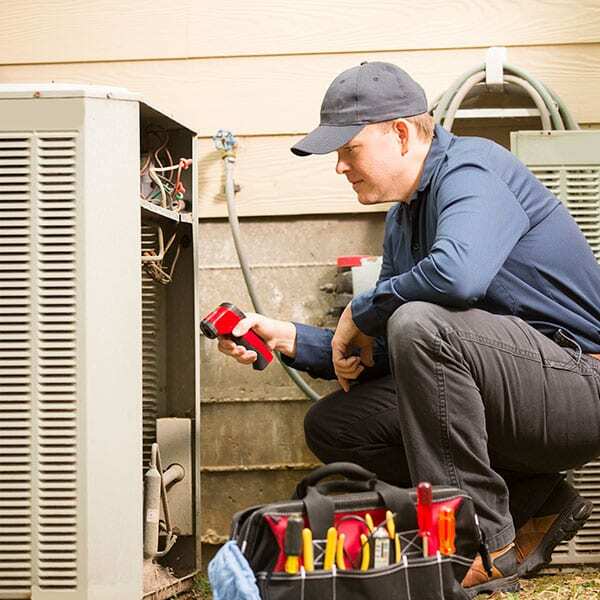 If you have any problem as outlined above or need to replace or install new HVAC or air conditioner, our expert staff will help you handle any challenge. It does not matter what the problem is; minor repair, place replacement, installation or electrical we are always ready to take care of the issue. If you prefer high quality and looking for HVAC repair service with affordable prices at the same time, AFR Dynamics HVAC Repair Service in Arizona is the right choice. Contact us at any time, and we are happy to provide you with any service you need.